Following on from half guard, I decided to start side control month by maintaining side control. I kicked off with the conceptual framework John described to me in Texas, which I've mentioned before: the primary control points are the hips and the triangle of shoulders and head, secondary control is inside the knees and elbows, then finally tertiary control relates to the wrists and ankles. John goes into more detail over on this thread. I think it's helpful to have that framework at the start, as then the students can hopefully see how that principle filters through everything we'll be training today. Teaching & Sparring Notes: Too basic? I felt I rushed the demo a bit, so I might slow it down next time. I'm wondering if there is room to add in the hip to hip material here, to keep it all in one lesson, but then again, with all the drills that fits it's own lesson nicely. Originally I was thinking more attacks next week, but on reflection hip to hip would make more sense, possibly followed by (or including?) stuff on transitioning to north south. That will then fit well with the breadcutter choke sequence I want to explore over the next four or five lessons after that. I got in lots of specific sparring time, thanks to the demonstration not taking very long today. I kept locking up a n/s kimura attempt, but was too tentative with it. 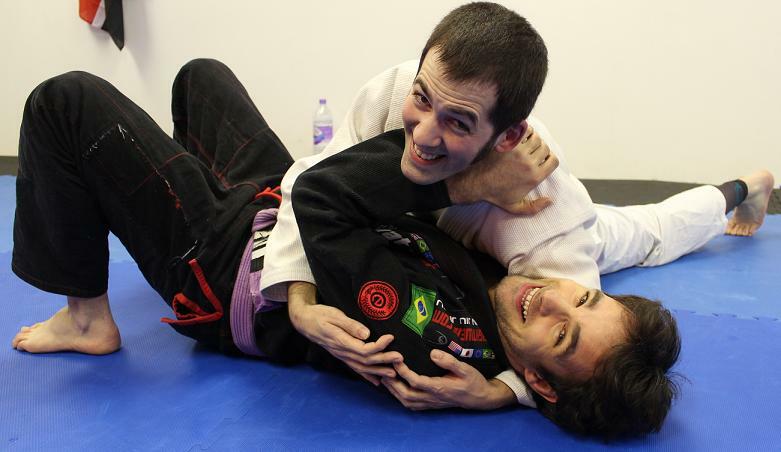 I should attempt the far side armbar more often. Underneath, getting into Jeff Rockwell's escape position takes a bit of doing. It's not just blocking the cross face that's hard, but creating enough of a block to enable space for bridge in the first place. I'll watch the Rockwell instructional some more, lots and lots to dig into there. I anticipate it will keep me going for a long time, probably a couple of years.